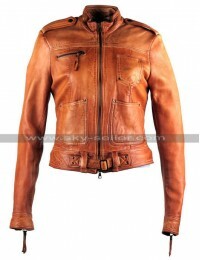 This leather jacket has been made from the pure real leather as the feel and outlook call for. There are patterns as well provided at the front of the jacket which gives a nice looking appearance as well. The front side of this jacket has been embellished with the front zip closure and there are four pockets gives as well. The two pockets are given on the chest side and the two other pockets are the ones given on the waistline which are zipped to perfection. 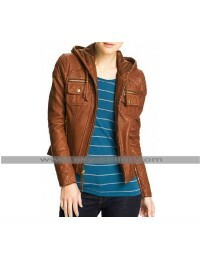 The collars of this biker jacket are also standing and very comforting due to the viscose inner being provided for.